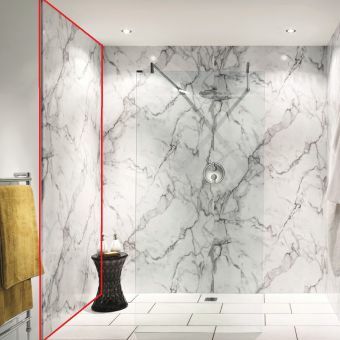 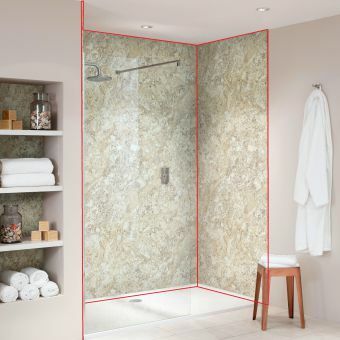 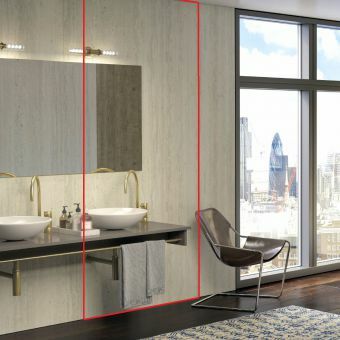 Nuance wall panels by Bushboard are 100% waterproof for complete peace of mind as a reliable and stylish shower wall panel, suitable for a huge range of different bathroom applications. 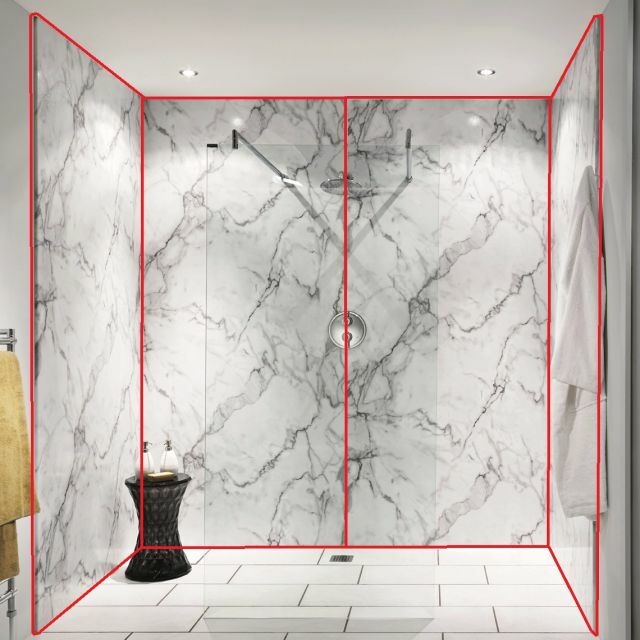 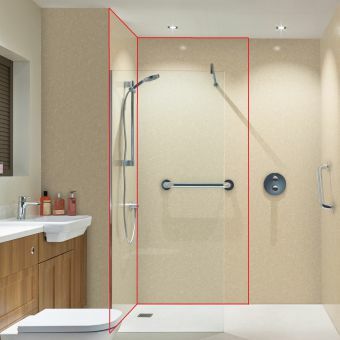 This pack is designed to be an easy to purchase option including all the required parts for you to create a recess walk in with 3 walls, up to a maximum size of 1200 x 2400 x 1200mm, suitable for very large walk in showers or showering enclosure areas. 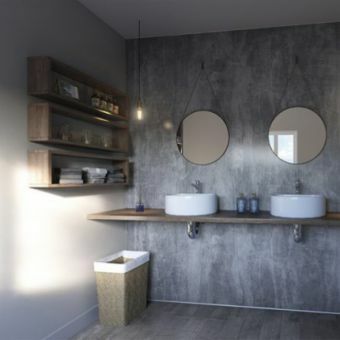 A wide range of colour options are available, 25 different shades in fact, meaning all tastes and design options are covered! 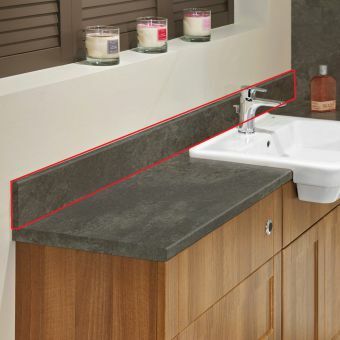 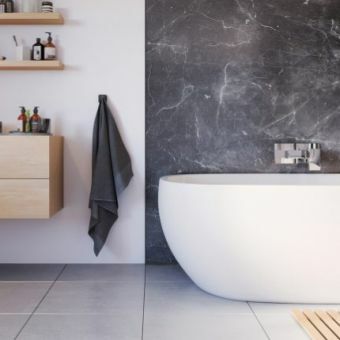 Classic marble and stone textures, natural wooden boards with realistic woodgrain surfaces and smooth sleek modern colours if you are keeping things minimal, there is something for everyone in the Nuance range.